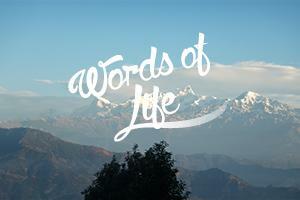 The Words of Life are GRN's most recorded messages, and are available in over 5,000 languages. The recordings contain short Bible stories, evangelistic messages and songs, and explain the way of salvation and give basic Christian teaching. They are tailor-made programs chosen from a large selection of Bible-based short stories, recorded by mother-tongue speakers so the listeners hear culturally relevant programs in the languages closest to their hearts. Most use a storytelling approach. Search for recordings by language name. Words of Life for Seamen - GRN provides cassettes and CDs to several ministries to seamen. Here's feedback from two of them.